Ecumenical Information The Protestant Reformation that began in 1517 with Martin Luther posted his “95 Theses” on the church door in Wittenberg sparked a discussion which he wanted – but not the type of discussion that he envisioned. Instead of dialogue, there were accusations, recriminations, condemnations, and excommunications that were used as weapons of destruction. Ultimately, the lack of civil discourse on any of the “95 Theses” that Martin Luther proposed, resulted in the fracture of the Church of Jesus Christ into warring denominations that used the Scriptures as a basis for behavior that was anything but Christ-like. Lies and deceit were the tools of revenge and discord. Christians even martyred other Christians – all in the name of Jesus. Any talk of ecumenism – the coming together – was not a high priority. The only thing that seemed to matter to each of the warring camps – was “we” are right – and “they” are wrong. Over the last 100 years and more so in the last 50 years, the various denominations of the Church have begun to talk to one another. Condemnations and mutual excommunications have been lifted. The Roman Bishop of Rome prays with and receives a blessing from, the Archbishop of Canterbury. The Lutherans and the Roman Catholic Church agree on “Justification” which happened to be one of the main points of Luther’s Theses. Episcopalians are in full communion with Lutherans and Moravians – and others. We are about to consider full communion with the Methodists. Anglicans and Roman Catholics have come to much agreement on Ministry, Authority, Mary, and other areas while acknowledging that there are still areas of disagreement. 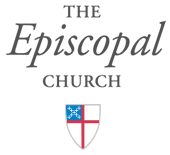 Lutheran, Anglicans, and Roman Catholics of the Upper and Lower Synods of the Evangelical Lutheran Church in America, the Episcopal Diocese of Central PA, and the Roman Catholic Diocese of Harrisburg are in Covenant with one another and are encouraged to pray, learn, work, and serve the Kingdom of God together. These pages will give you the information you need to be a full partner in ecumenical activities in your parish and your community. They will help you learn about what we have come to agreement on – and what is left for further prayer and discussion. They will also give you dozens of examples of ecumenical activities in prayer and worship, in Christian Formation, and outreach to your community that are happening in our diocese right now. The first link below will take you to the Resources Page that will list the major ecumenical documents of the last few years. You are urged to read, mark, learn, and inwardly digest them. Use them as sources of Christian Formation in your parish. Learn how we are slowly putting the Church of Jesus Christ back together and come to the unity that Jesus prayed for at His Last Supper. On this page you will also see a link for the Graymoor Friars who are leaders in ecumenical prayer and sponsor the Annual Week of Prayer for Christian Unity celebrated in the United States on January 18 through January 25 of each year. The second link below will take you to a page with links for ideas about ecumenical activities and events in your own parish and community. These ideas from our own parishes and are grouped by: Prayer and Worship; Christian Formation; and Outreach Ministry.